I’m very happy to say my blog Sci-Fi Jubilee has now reached its 6th anniversary! Wow, this last year seems to have flown by so fast as well! Needless to say I’ve have had a brilliant time writing this blog over the last six years, writing countless TV, film, and comic book reviews and articles from a wealth of different genres – especially when it comes to Doctor Who and Comic Books – which I real love writing about! But of course, Sci-Fi Jubilee wouldn’t by anything without any of you! I always look at these anniversary posts as a way to say a big thank you to each and every one of you for reading and following my blog. You have always been so kind and generous, especially when I fell ill with a chest infection earlier this year, and you have constantly given me so much amazing support via your comments on my blog, nominating Sci-Fi Jubilee for blog awards, and sharing my reviews on Twitter, WordPress, and Sci-Fi Jubilee’s Facebook page. Thanks to you my YouTube Channel is now a key feature on the blog as well. I really enjoyed doing the walkthroughs and videos I’ve done for Infamous Second Son, Monster Hunter World, and God of War (PS4). The channel continues to grow and I want to thank you all for your subscriptions, comments, and words of encouragement that has made the YouTube Channel such a fun and welcome addition to Sci-Fi Jubilee. You know when I started this blog I never could’ve imagined that Sci-Fi Jubilee would go on to become as big a part of my life as it has, and I can’t thank you enough for that. Most of all though it is your feedback and support that makes Sci-Fi Jubilee and blogging feel so enjoyable and special to me. Sci-Fi Jubilee has grown so much over the last six years, its given me some amazing opportunities, enabled me to write on other websites and projects, and its all thanks to you! Cheers for all your awesome support everyone, and here’s to another fun year of reviews on Sci-Fi Jubilee and walkthroughs on my YouTube Channel in the year ahead! Congratulations Paul! Time flies when you’re having fun! I always enjoy checking out your reviews! Here’s to another great six years and more! Hello Paul and congratulations on reaching your sixth anniversary! I am a new subscriber to your blog but will be visiting more often as I’m branching out from just the Star Wars universe. Thanks for your recent support. Wow congratulations. That’s quite an accomplishment. Congratulations!!!!!!! My how time has flown. Congratulations. I don’t even know when my blog anniversary is supposed to be – I’ve done a poor job of keeping track. But it’s always nice when there are at least a couple other long-lasting bloggers to interact with. It’s part of why I write a blog really. Congrats! Next thing you know, a decade has flown by… Cheers to many more years! Congrats on your 6th anniversary from the cheetah and myself!! 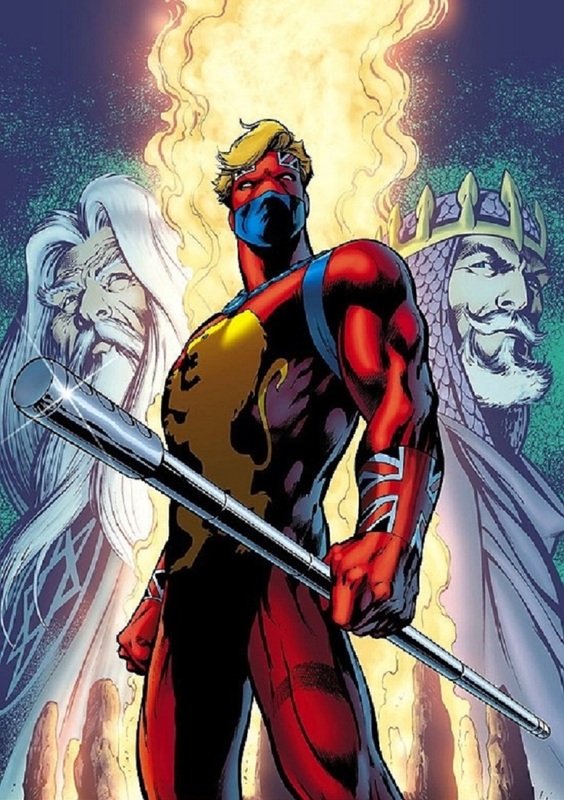 Nice picture of Captain Britain as well!! Happy Anniversary! I wish I followed comic books so I could be more active on your blog. You are always so good about commenting on mine. I’ll try harder this new year. I’m so late to this but major congrats on this achievement.